We love music as much as we love animal. 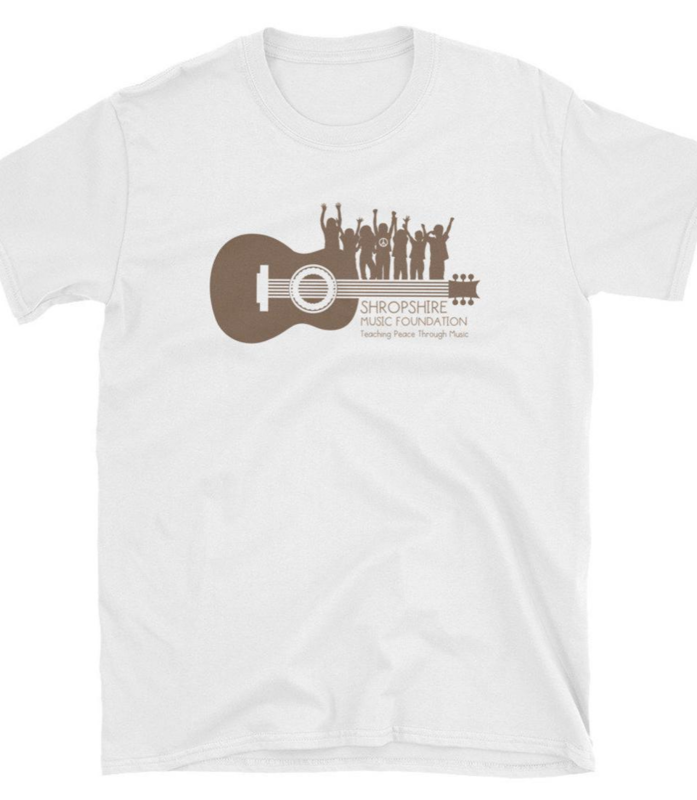 If you love music, purchase this t-shirt to support the work of Shropshire Music Foundation. ABOUT SHROPSHIRE MUSIC FOUNDATION: Shropshire is a nonprofit that teaches peace through music. Most recently they taught kids in refugee camps in Greece. Learn more about their amazing work at ShropshireFoundation.org. ADOPT DON’T SHOP! If this advice is near and dear to your heart, you can proudly wear this shirt and support our work with San Francisco’s only open admission municipal animal shelter. ABOUT SAN FRANCISCO ANIMAL CARE & CONTROL: SFACC rescues every animal that needs help - dogs, cats, rabbits, birds, reptiles and wildlife. SFACC turns away no animal brought in by local residents. Their “animal cops” also are out in the field to do animal rescues and searches for lost pets. Learn more at SFAnimalCare.org and the non-profit organization that supports them at FriendsofSFACC.org.